The decision…. to exclude AC Milan from the Uefa Club Competition was not proportionate,” a Cas statement said. The takeover was partly funded by a high-interest loan of €300 million from American hedge fund Elliott Management. 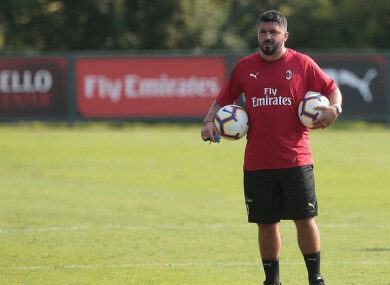 When Milan failed to make a repayment at the start of July, Elliott moved to take over, a process which is due to be ratified by club shareholders on 21 July. The Chinese owners spent more than €200m on players last summer and that, combined with the terms of the Elliott loan, triggered the interest of Uefa. Elliot, now in full control, has pledged to inject €50m to bring financial stability to the seven-time European champions. Email “AC Milan reinstated to European football after successfully overturning Uefa ban ”. Feedback on “AC Milan reinstated to European football after successfully overturning Uefa ban ”.